If the Manila traffic is an easy metaphor for standard Filipino politics, it stands in stark contrast to the nation’s dynamic social media landscape. Forget Jeepneys – no jetliner could keep pace with the Philippines’ explosion of access and activity online. While just 32 million of the 90 million+ citizens have web access, Google expects that number to double within 3 years – an important factor in their recent decision to open a Manila office. The rise of social media here is due in large part to the onward march of smartphones into the daily lives of millions. At 111% penetration, there are now more mobile phones in the Philippines than there are Filipinos. It isn’t just young people either – legacy leadership is starting to pay attention. Based on my discussions, all the major traditional news organizations are working hard to understand the value and opportunity that digital media represents (this was true for reporters and business leaders alike). Crucially, the national election commission (COMELEC) is also beginning to invest in digital tools to improve voter access and election accountability – even if they are taking cautious first steps. 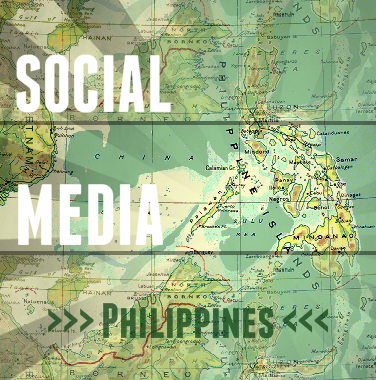 Over the next few days I’ll share more thoughts and insights from my time in the Philippines, including a closer look at the role of social media in the upcoming May elections. Tagged democracy, international, mobile, philippines, social media.